Always an interesting question. Obviously everyone's needs are different, but I find even the most avid travellers will still find that their Caravan or RV will sit around at home or in storage most of the time in its life. In the mean time YOU are paying for this. However with a hire Caravan you save space and money as its not being used all of the time. Average cost of a caravan for maintenance over a 12 month period is around $1000. Average cost of a Motorhome insurance policy would be around $1200 for an older style RV valued at around $30000. Then you have depreciation costs of a caravan or RV also on top of this which can be massive if new, or much less if not as they do hold their value. So the conclusion to all of this is that unless you are really using your Caravan or RV all of the time you will be way out of pocket purchasing compared to hiring. Average hire cost ranges from as little as $315 per week in the off season to just $595 in the Summer season. Top of the range caravans and RV's are just $595 in the off season to $875 per week in the Summer or peak season. SO do your maths and work out whats best for you and your usage time? Cost comparison. Why hire a #Caravan over a Cabin? Just thought I'd add this information after a typical conversation I have had with customers about a cabin vs a Caravan or RV in a locally based Caravan park right on the beach. Cost of Hiring a top of the range Premium caravan or RV from us at #PerfectBreakCaravans during Summer High season= $875 + average site fees of $490($70 per night) totalling $1365. Obviously if you hired for two weeks you would save almost $1500! On top of this if you were to free camp you would save around a $1000 for the two weeks in site fees also making your total $2500! These fees are based on decent caravan parks with all of the facilities needed for a great holiday like Resort pools, Jumping Pillows, Waterside locations, Kids Clubs, Beautiful grounds with local wildlife like Kangaroos around etc. The list goes on. With free campsites they are also in some idyllic locations. Just Google 'free campsites' and go from there. There is even a great one in #Jamberoo by the tennis courts, Golf Course, Footy fields Croquet and Creek. #Kiama has rest stops which can also be used for this purpose. So whilst the family next door to your site can only afford to stay for one week in their cabin, you can double their stay and still save! 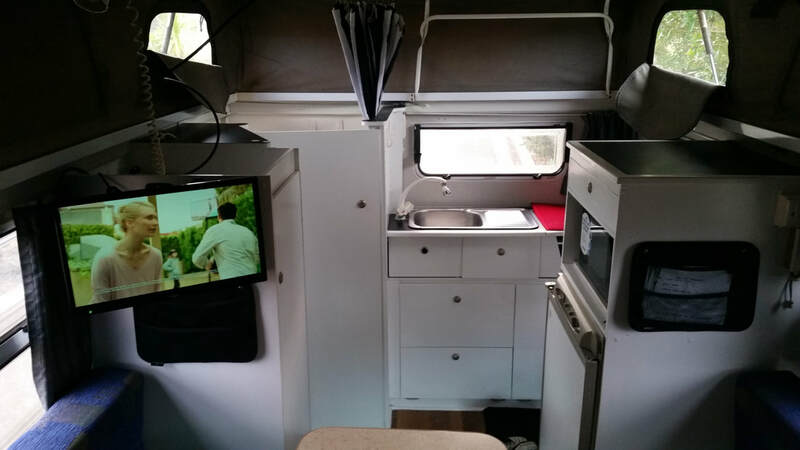 Not only that you can take your #mobilehome or #caravan on the road with you and enjoy free accommodation or #nap times as you go and sleep wherever you want! When touring I always like to head for a nice pool or beach along the way to break up the day or night! These are your options with your own instant home on wheels! Book now at www.perfectbreakcaravans.com to avoid disappointment.